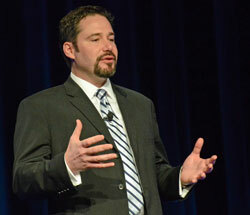 To wrap things up at the 2012 National Biodiesel Conference I spoke with NBB CEO, Joe Jobe. He says that there was about a twenty five percent increase in attendance this year. However, he says it’s not the numbers that has made this conference so positive but the mood of the attendees which is much more upbeat than last year. He was happy to see more business being conducted. I certainly echo that. If you plan ahead on your calendar you might want to go ahead and put the 2013 conference on your calendar. It will be held February 4-7, 2013 at the Mirage Hotel & Casino in Las Vegas, NV. Don’t forget to check out photos from this year’s conference which you can find by clicking on the link below and at the bottom of every post. You can also click on the thumbnails in the left sidebar to get to them too.